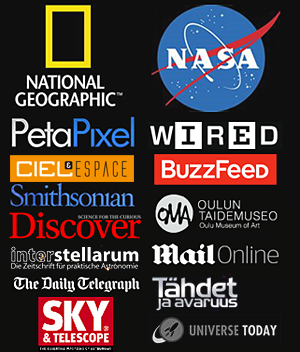 Be sure to click for a full size image! R=80%Hydrogen+20%Sulfur, G=100%Oxygen and B=85%Oxygen+15% Hydrogen to compensate otherwise missing H-beta emission. This composition is very close to a visual spectrum. 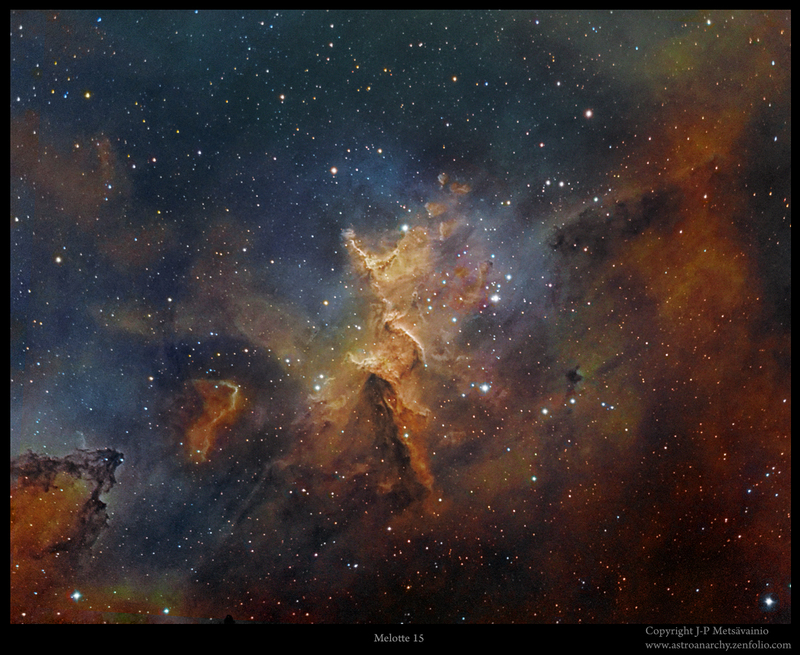 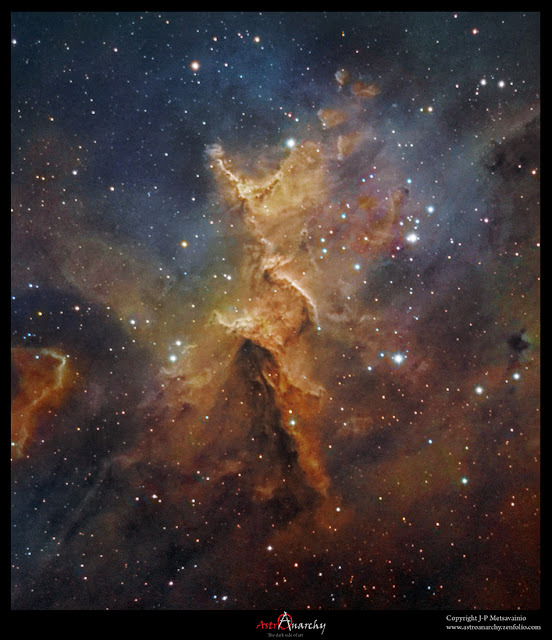 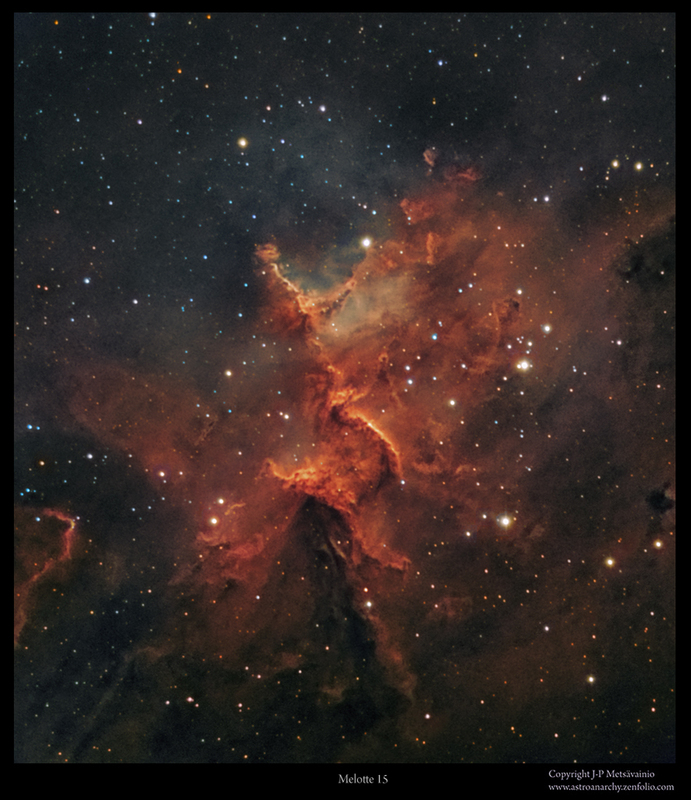 A two frame panorama of IC 1805 and Melotte 15. 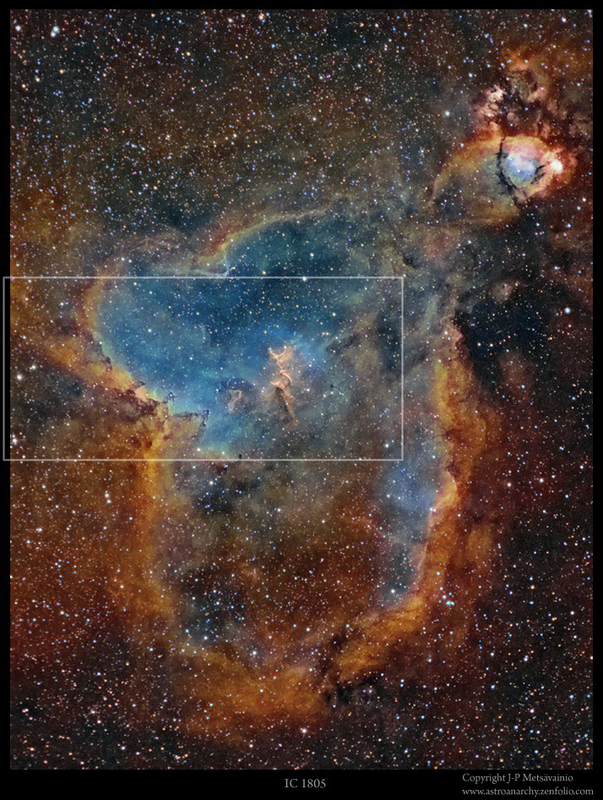 Narrowband cahnnels for ionized Oxygen and Sulfur are taken from an older wide field image seen above. Here is the panoramic image in visual colors from the narrowband data.